Farmersgirl Kitchen: Grow your own! 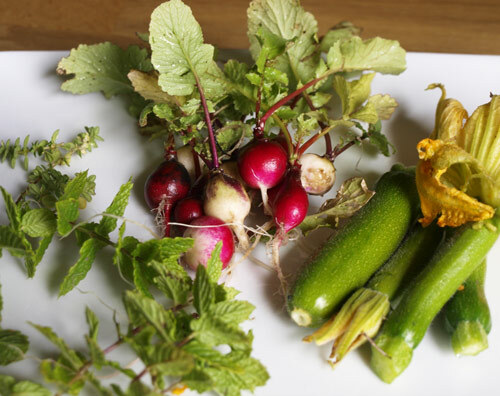 This month the challenge at 'No Croutons Required' is to make a soup or salad using something you have grown yourself. That was going to be a bit of a challenge for me as it has been raining non-stop here for what seems like weeks, combined with fierce winds my little courgette plants looked like they had given up early. However, one nice day last week seemed to perk them up and I managed to harvest four teeny tiny courgettes and a handful of radishes and some herbs. 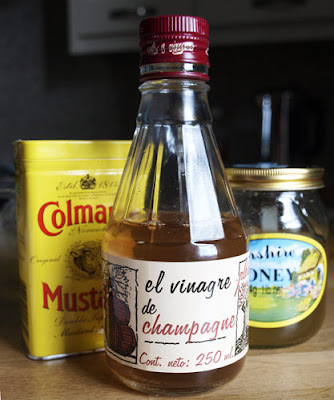 I used the veg peeler to cut thin strips from the courgettes and finely sliced the radishes, I made a simple dressing with Champagne vinegar, olive oil, honey, Colman's mustard powder and some salt and pepper. 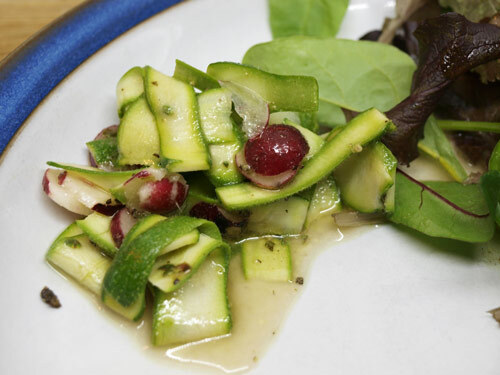 Because the courgettes were so young, they made a delicious salad with the peppery radishes and the sweet and sour dressing. 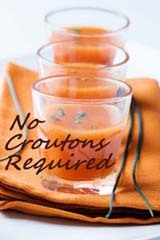 If you'd like to see more entries to No Croutons Required, head over to Lisa's Kitchen. That looks so fresh and lovely! Well done! Definitely up against it weather-wise but that looks like a lovely harvest. You look like you have really made the most of what you got. Beautiful photo of your home-grown veggies Janice. I must enter a recipe for No Croutons Required one day.......lovely post! Hats off, both in the garden and the kitchen. Thanks for your lovely comment. I like how everything came from your garden! Sometimes I get such slim pickings that I just eat one snap pea here and there.. although my Romano beans are very fruitful right now! I now feel quite silly as I've never eaten a raw courgette. I will need to give this a try!